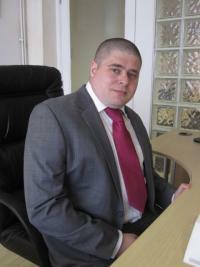 Ian has spent many years on accounts preparation and taxation planning. He also has experience of VAT and other taxes. Ian has a good understanding of many different accounting packages including sage. He has carried out audits and has had helped many different types of businesses with their accounting problems. Ian Lowe joined Holland & Co Chartered Accountants in 2002 having previously obtaining a number of qualifications including GCSEs, A levels, a certificate of achievement in Business Dynamics, 2 UK Mathematical Certificates, and the AAT qualification. Ian has obtained a vast amount of practical experience whilst working at Holland & Co including, but not limited to helping with business start ups, payroll, accounts preparation, submission of self assessment forms and corporation tax forms to HMRC, tax planning and lots of other experience in other areas. Ian is familiar with many different software programs including sage and IRIS. At Holland & Co Ian helps out managing staff, reviewing work and training new starters. Holland & Co can ensure that the compliance requirements of the Companies Act and a company’s own Articles of Association are met, both in terms of the filing of statutory forms and the correct drafting of documents to record the actions of directors and shareholders. There are a number of company secretarial tasks which can trap the unwary, in particular maintenance of statutory registers, annual returns, AGMs, share transfers and dividends. Delegating complex work to an expert team lets clients concentrate on their core business, secure in the knowledge that they are compliant. Depending on client needs, Holland & Co can take care of the whole job or just the more complex procedures. Many people who run limited companies do not see the benefit of ensuring that they comply with the complicated Company legislation. They also believe it is cheaper for them to do the company secretarial work themselves. An example of this was a client who set up his own limited company instead of asking us to do so. This initially saved him a small amount of money because he saved on our fees, however our fees for setting up a limited company include tax planning for the company. The client missed out on this tax planning by setting the company up himself and not informing us. After his first year of trading he had forgotten to set up a payroll registration with HMRC. This meant he incurred a penalty of £100 for each month which was £1,200 in total. He had also incorrectly set up the share capital of his limited company. This meant that he was liable for higher rate tax on dividends when, if we had done the formation for him we could have avoided this problem. The cost of him not using our services ran into thousands of pounds.